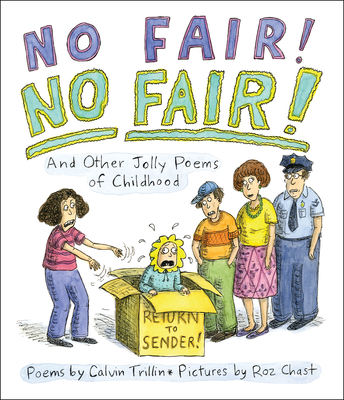 Inspired by some of Calvin Trillin's real-life experiences, No Fair! No Fair! And Other Jolly Poems of Childhoodcelebrates the humor of familiar everyday topics. Roz Chast has been a regular contributor to the New Yorker since 1978. She has illustrated many books, including the New York Times bestseller 101 Two-Letter Words by Stephin Merritt and The Alphabet from A to Y with Bonus Letter Z! by Steve Martin. She is the author and illustrator of Can't We Talk About Something More Pleasant?, a bestselling memoir about her parents, which was a finalist for the National Book Award. She lives in Brooklyn, New York.